“Most of the people who are against hunting of bears and wolves have never seen one in their life, and paint us as bloodthirsty killers," one hunter said. Some hunters in Alaska use bacon grease or doughnuts to bait bears. Some use headlamps to find and shoot bears in their dens. Some kill swimming caribou from motorboats. But whether such rare, unconventional methods should be used — and who can tell Alaskans how they kill the animals they eat — is an entirely different matter. A years-old conflict has pitted the state against the feds, conservationists against preservationists, and people who feed their families by stalking game in the wilderness against those who see certain types of hunting as inhumane. The tactics that have attracted the most outrage — the bacon, the spotlights, the motorboats — aren’t widely practiced. But they’ve become battle lines in a power struggle between Washington and a rural state with a deep tradition of independence and self-determination. Now the Trump administration is seeking to end the fight by undoing rules that restricted the controversial methods on federal land. It’s a move that has divided local hunters, though many see it as proper deference to local sovereignty. Alaskans are used to being seen as oddities by people in the Lower 48. Freel, who lives on the outskirts of Fairbanks, baits bears, a highly regulated technique that involves leaving food in a secluded spot in a forest and waiting for a bear to check it out. It is banned in many states but has been used for generations in Alaska, where it remains controversial. Opponents, including some hunters, say it violates standards of “fair chase” — and risks conditioning bears to food associated with humans, which could make them more likely to attack. "Most of the people who are against hunting of bears and wolves have never seen one in their life." But proponents say baiting allows them to choose only older, bigger male bears and makes it easier to kill quickly and with less suffering. Baiting also makes it possible to hunt in heavily forested areas where stalking a bear is all but impossible. Even then, it can take weeks or months. Freel hunts bears on state land, not the federal preserves where the state and federal governments share responsibility. So the dispute over acceptable hunting methods doesn’t directly affect him. But it bothers him nonetheless. Freel often baits with dog food, which is more commonly used and simpler than bacon or doughnuts. He says he doesn’t know many people who use them. For that matter, he says, he doesn’t know anyone who “spotlights” bear dens or shoots swimming caribou from a boat. Those methods are typically used by select groups of Alaska natives whose hunting traditions have been maintained over centuries, while evolving with technology. Federal rules have always been more lenient for Alaska natives and residents who live far from urban areas; they are eligible to obtain permission to hunt under “federal subsistence regulations” that provide limited exceptions to the disputed rules. Among the rest of the hunters on Alaska’s federal preserves, few use the banned techniques. But the feds decided to crack down during the Obama administration because they said the state was allowing activities that violated its duty to safeguard the jointly managed parks. This feud stems from a 1980 law, the Alaska National Interest Lands Conservation Act, that set aside millions of acres of federally owned lands to let Alaskans maintain their frontier lifestyle and economy. The arrangement — allowing both sport and subsistence hunting on federal “preserves” — is unique to Alaska. And it is the source of constant friction, because the two partners have different missions. The National Park Service is charged with protecting wildlife populations — including that of predators like bears and wolves — in "an unaltered natural ecosystem." Alaska’s Board of Game, meanwhile, is charged with assuring large populations of huntable prey like caribou and moose. That unsteady alliance reached a turning point in 2015, after the state eased some rules, allowing hunters’ to use lights in bear dens, bait grizzlies with human food and hunt wolves in the spring and summer, when they are raising their young. The park service responded by prohibiting those methods and adding prohibitions on other techniques, such as hunting caribou by boat, which the state allowed in small areas. "Allowing the killing of bear cubs and wolf pups in their dens is barbaric and inhumane." Animal rights and preservation groups applauded the restrictions, saying they would help keep federal land intact for people — including most Alaskans, they said — who want to enjoy undisturbed habitats. They have also criticized the disputed hunting methods as cruel to animals. “Allowing the killing of bear cubs and wolf pups in their dens is barbaric and inhumane,” Jamie Rappaport Clark, CEO of Defenders of Wildlife, said in a statement. But the new rules prompted an uproar among Alaska hunters and regulators, who say they have the right to manage hunting the way they see fit. The state said that its expanded regulations were meant to allow for more hunting, and that the long-term impact on the ecosystem was negligible. Alaska sued the park service, accusing it of violating the 1980 agreement. Now, under President Donald Trump and Interior Secretary Ryan Zinke — an avid hunter who has made a priority of expanding hunting rights on federal lands — the park service is ready to reverse itself. Last month, the park service proposed rescinding its 2015 prohibitions. That put park service staffers in the awkward position of backing down from rules they’d recently defended. They phrased the reversal as an effort to cooperate better with state regulators according to the priorities of their new leadership in Washington. “NPS has determined that these practices previously prohibited by the 2015 regulation can be allowed consistent with the goal of more closely aligning its rules with those of the State,” National Park Service spokesman Peter Christian said in a statement. The May 22 announcement satisfied many local hunters ─ and could render the state lawsuit moot. But it drew condemnations from those who want to see wildlife protections remain intact. The park service opened a 60-day public comment period; so far, 43,000 comments have been submitted. The park service will review the submissions and consider changes to the rules before issuing a final version by the end of the year. Many of those who want to see the Obama-era hunting restrictions remain in place are nonhunters from outside Alaska. But the opponents of the Trump administration’s move also include Alaskans, including some who hunt. Driving the debate on both sides are economic concerns. Alaska thrives on tourism, including people who hire local guides to take them hunting, which injected about $87 million into the state economy, according to a 2015 report commissioned by the Alaska Professional Hunters Association and Safari Club International. Altogether, local hunters and visitors spent about $424 million in the state in 2011, according to the most recent data gathered by the U.S. Fish and Wildlife Service. 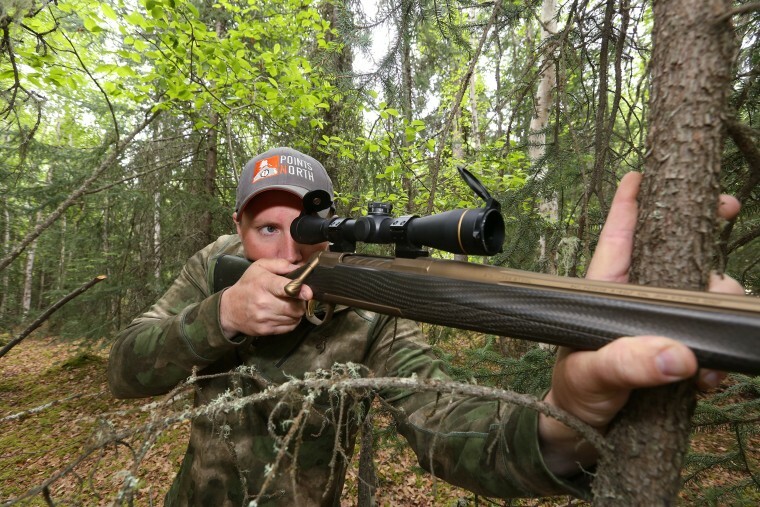 That has helped hunting remain a steady activity in Alaska — about 140,000 local and 10,000 nonresident hunters annually since 2009, say state regulators, who point out that hunting has declined in the rest of the country. But opponents of liberalized hunting regulations argue that wildlife watching is a far bigger economic engine than hunting. According to the Fish and Wildlife Service, wildlife watchers from Alaska and elsewhere spent $2 billion in the state in 2011, nearly five times what hunters spent. Reversing the 2015 federal bans “goes against the wishes of Alaskans themselves, and can hurt the state’s economy,” Kitty Block, acting president of the Humane Society of the United States, wrote recently. There is also the matter of individual economy. While the park service distinguishes “subsistence” hunters — those who do it because they have to, or as part of a native tradition — from “sport” hunters, who choose to do it, Alaska does not. To state regulators, all hunters are part of a centuries-old way of life in which providing meat for families makes financial sense. Virgin, 34, is a construction worker and a third-generation Alaskan who lives in the city of Palmer. He hunts bears (with bait and by stalking), sheep, goats, moose and buffalo, and is now teaching his young daughters to do the same. Virgin said it’s insulting for people outside of Alaska to tell him how he should hunt, or accuse him of being inhumane. In a country reliant on fast food and factory-processed meat, no one respects wildlife more than Alaska hunters, he said. “People put different weights on different animals, and in my opinion that’s unfair,” he said. Steve Shannon, chair of the Alaska chapter of Backcountry Hunters and Anglers, said hunters’ relationship with wildlife is rooted in respect: Both predators and prey are needed for a healthy ecosystem. “I don’t think any of us hate these animals,” he said.